WordPress is the undisputed king of Content Management Systems as it holds the center stage in everything related to websites and SEO. From creating websites to enriching content and publishing content in the most attractive manner, WordPress has so much to offer that making a comprehensive list of its offerings can be very difficult. It has now almost become a norm to create websites using WordPress themes. Every day some new themes appear in the long list of themes that rule the world of web design and web development. It often happens that you might think about changing the current theme of your website as some new theme has caught your fancy. The task is not difficult, but you must consider the impact it might have on SEO before deciding to switch over to a new WordPress theme. Read on to know more about how a change of WordPress themes affects SEO. Changing website themes is mostly prevalent among bloggers most of who start with free WordPress themes, and once they learn the ropes and traffic keep increasing, they prefer to switch over to a new theme. Since most of the free themes have built in SEO features duly optimized, it provides bloggers an immediate start to their SEO campaign. Websites created with free WordPress themes are vulnerable to hackers, which is another reason for changing the theme. However, the primary reason for moving over to a new theme is to increase traffic flow to the website. If you are currently using a WordPress theme and want to change it with a new one, you must first know whether the existing theme has built in SEO options that you have been using or were you using separate plugins for SEO. Many websites prefer built in SEO features with the theme, as you have to use one less plugin. If you are using a theme with in-built SEO features, then changing over to a new theme can affect the SEO campaign that you have initiated. In case the theme does not have in-built SEO infrastructure, and you are using an SEO WordPress plugin then changing the website theme would not affect SEO, but you must ensure that the new WordPress theme is optimized for local SEO Gilbert AZ. However, some other issues would come up when you change the WordPress theme. When you switch over from one WordPress theme to another, there are chances that the SEO campaign is affected. Suppose you are using hyperlinked post titles or you might even use H2 tags for post titles. In such cases, changing the theme would inevitably impact SEO. To avoid such problems, use SEO optimized themes as it uses proper heading tags, the codes are clean, and it meets all other requirements of SEO. The most notable change that you will see when you change themes is that the website URL changes. The URL is most important for your online identity because viewers recognize your site by looking at the URL. It is more than a mere address; it is the face of your website. Since search engines rank websites by considering the URL, it is evident that when you change the theme, it changes the URL and as a result, it affects the SEO ranks that you had earned. Therefore, to retain the SEO benefits, you must ensure that the website URL remains the same after changing the theme or there must be some arrangement of redirecting viewers and search engines to the right page. When using a WordPress theme, you would usually prefer some specific settings that make you feel comfortable as you are very convenient with it. The setting becomes a part of the theme feature. However, when you change the theme and choose a new one, you must be ready to give up the earlier custom setting that will no more be available. To get back those settings, either the new theme must have provisions for it, or you need to take help from a WordPress developer to get it done for you. While selecting a WordPress theme, pay attention to the manner in which the website loads content because it relates to site speed that Google considers an important factor in search rankings. Some themes load the content first and then the other elements of the website whereas some other themes load everything together. If the site speed is slow, then the search rankings take a beating. To retain the search rankings when changing WordPress themes, you must take a backup of the theme and the database and then use an SEO plugin to store the data. Some WordPress SEO plugins have the facility of data migration built into it that helps to import all data to the plugin quickly. About the author: Isabella Scott has a degree in management and a decade’s experience in online marketing. She is quite familiar with local SEO Gilbert AZ, and she is greatly attracted to writing on various SEO topics. Although she never wanted to be a marketer, it was a chance meeting with her mentor that changed her career. WordPress is very popular website developing and blog platform with tons of SEO advantages. It is very famous CMS used by thousand of websites from many years. When we developed a website OR launch any website of our personal OR business, SEO is now a day compulsory thing to take in consideration. SEO is to optimize a website to increasing traffic to a website which ultimately increase your visitors to website. If your website is developed using WordPress platform than SEO of such website is somewhat different from other simple static OR dynamic website. SEO of WordPress site is easy and it is shown by many years that wordpress sites are perform well in SEO, WordPress site is ranking well in search engines for its targeted keywords. 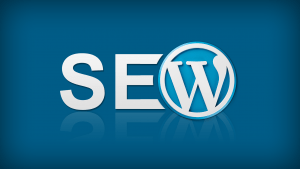 WordPress SEO is drive with the different supported WordPress Plugins. SEO of wordpress sites are done with the help of different SEO plugins. One of the main and popular SEO plugin for WordPress site is Yoast SEO plugin. The beauty of this plugin is – it is with no of charges means free for all and easy to use by thousands of WordPress sites owners. One can easily integrated yoast seo plugin to its WordPress site. After adding this plugin into the site, you can add all seo stuffs like Title, meta descriptions, meta keywords, Header tags etc. to each and every webpage of the site. Other wordpress plugins which help for seo is LinkPatrol , Nofollow check box in WordPress which are helpful for SEO. When you want to start SEO of your wordpress site, after adding yoast seo plugin, you should first make keywords research for deciding your targeted keywords. Titles and meta descriptions are written using targeted keywords and with extra care because these things are highly impact on higher or first page rankings of the targeted keywords. 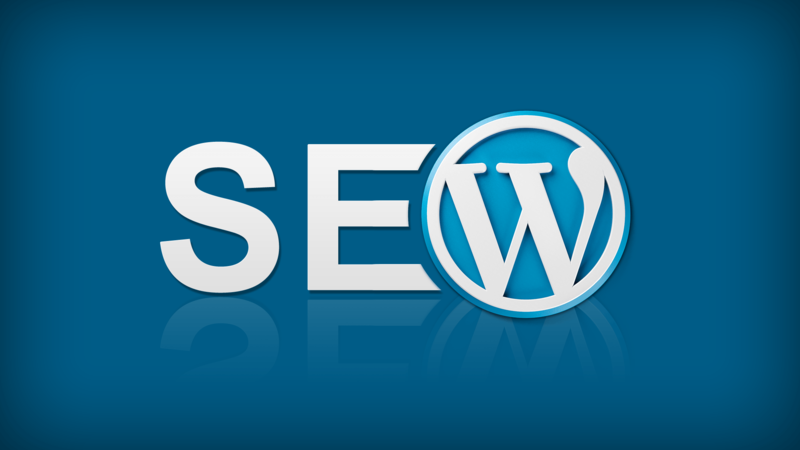 Other factors including Header tags, images, alt attributes are also considered as a important in SEO of wordpress site. You can monitor all the outgoing links on your site, find out which links are giving away link juice, and more. LinkPatrol is less resource intensive than other free plugins that do the same job. It provides a quicker and efficient way to clean up all your anchor text, spammy links, and link juice problems with a very intuitive and super fast user interface. SEMRush is a tool that Pros use to gather analytics and insights from their competitor’s to help improve their own SEO. You can learn about organic keywords to rank for, places where you can get backlinks from, insights into your competitor’s advertising strategies, and so much more. SEMrush is a paid subscription and is used by thousands of SEO professionals all over the world. It can provide you an enormous wealth of data. Thus SEO of WordPress is made easy with the help of different WordPress Plugins. For WordPress Premium themes please visit us at SoloStream Themes.